This can be seen in a series of launches and a new exhibition, ‘Le Diamant’, which opens at Phillips, Berkeley Square – November 25-26th. This exclusive by-appointment-only event will house the largest selection of Cartier diamonds ever to be shown in the UK. Phillips’ contemporary Mayfair HQ provides the perfect backdrop to this extensive collection of current and rare jewellery designs. These include an Art Deco inspired ‘Oriental’ tiara from the Tradition Collection, which dates back to 1911 and holds a total of 1,218 diamonds. 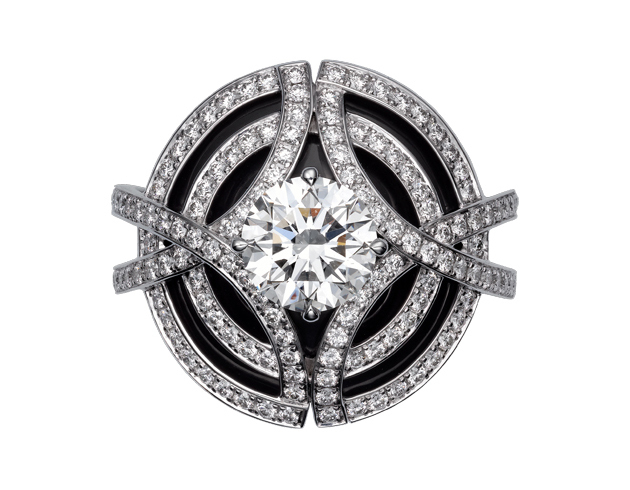 Ornate pieces like these are a reminder of Cartier’s glamorous past and its glittering Hollywood heyday. The showcase also marks the launch of the new ‘Galanterie de Cartier’ collection, which fuses diamonds and onyx in modern settings. All pieces, vintage and new, are available to buy over the two days. 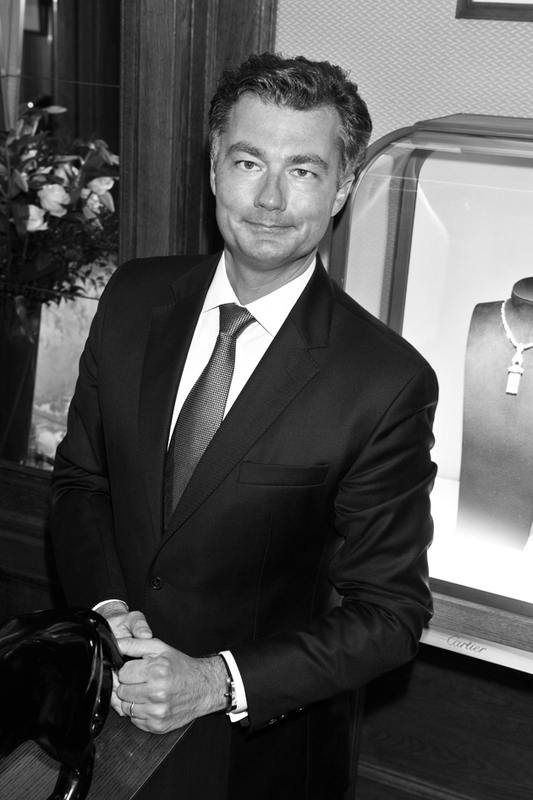 According to Cartier UK’s Laurent Feniou, the brand is keen to embrace modernity and showcase continuous innovation and attention to detail. Here, the former investment banker sheds light on Cartier’s unrivalled craftsmanship and its plans to refurbish major stores in London and across the globe. Prior to Cartier you held the post of managing director at Rothschild Bank. Are there any similarities between the worlds of finance and fine jewellery, which have surprised you? As a banker my focus was on creating value for the customer and driving my team towards this goal. Making the transition into the luxury industry I find many similarities. The focus is always on the client and how to achieve long-term client satisfaction and loyalty. Quality, creativity and service are key in order to differentiate oneself. This month, Le Diamant opens at Phillips. Are the lines between art and fine jewellery becoming increasingly blurred? Cartier has always been enveloped into art, be it through jewellery, watches, objects, digital innovation and more. In 1984, Cartier set up The Fondation Cartier, which expresses Cartier’s commitment to the arts as a corporate patron. Cartier is a pioneer in the field. It invests greatly in promoting the arts of the time. This commitment to art echoes the reasoning behind the exhibition being hosted within Phillips. At Cartier today, at least ten years’ experience is required to be able to work on unique pieces, which demand sound mastery of techniques. There are workshops reserved for solitaires, high jewellery, fine jewellery and much more. The art of jewellery requires patience and dexterity. At Cartier, the excellence of the final product is answered by the perfection of craftsmanship sustained by the exacting standards of the eye and hand, which I believe in itself is art. How would you define Cartier’s relationship with London and in particular, Bond Street? Cartier has been present on Bond Street for over a hundred years. In 1902, Pierre Cartier, founder Alfred’s second son, opened a store at No.4 New Burlington Street. Another store followed in 1909 at 175-176 New Bond Street. This has remained the UK flagship store ever since, alongside new openings in Old Bond Street, Sloane Street, Harrods and Selfridges. The Cartier boutique on New Bond Street hosts an exceptional range of high jewellery, timepieces and tradition pieces. The Tradition pieces are very special – these are vintage Cartier pieces from 1800 – 1960. Only 12 boutiques around the world have the privilege to host these pieces and New Bond Street is one of them. With regard to updating our stores, as Cartier New Bond Street is its UK flagship, this will be a really exciting transformation. Within this development there will be the ‘Watch Shop’ and the ‘Archive’ section, which will be up and running next year. Are you seeing any new trends in the preferred style, or cut, or colour in diamonds, or shapes/designs in jewellery for 2016? At Cartier our aim is to magnify the beauty of diamonds through the creativity of our designs as demonstrated in the new ‘Galanterie de Cartier’ collection. It is creative and very sophisticated with its black and white pattern – a characteristic that is also shared in the black and white trinity diamond pavé offer.